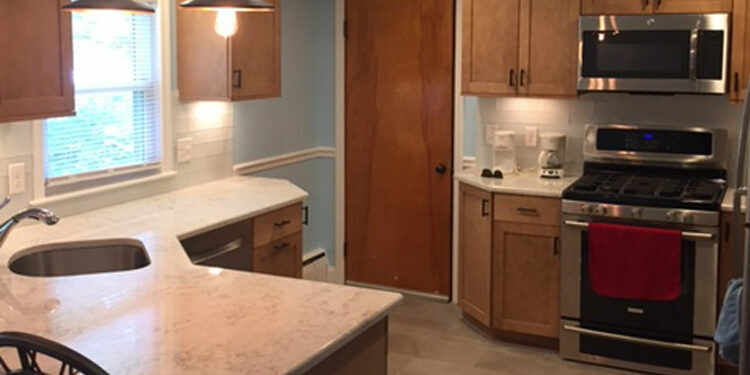 For this homeowner in Grafton, the time had come to make some kitchen updates. Their current kitchen was old, outdated, and no longer meeting their needs. They took the time to think about what they wanted from their new kitchen: something that was stylish, comfortable, and functional. Together, we came up with a design plan. Once we knew what needed to be done, we got to work. We decided to keep the basic layout of the kitchen, but it was in dire need of some updates. Our first step was to gut the whole room. 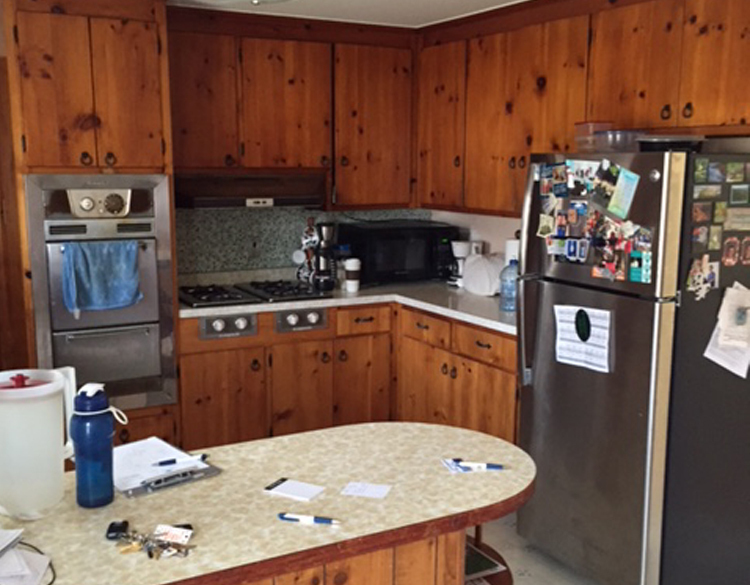 We removed the cabinets, floorboards, and appliances. 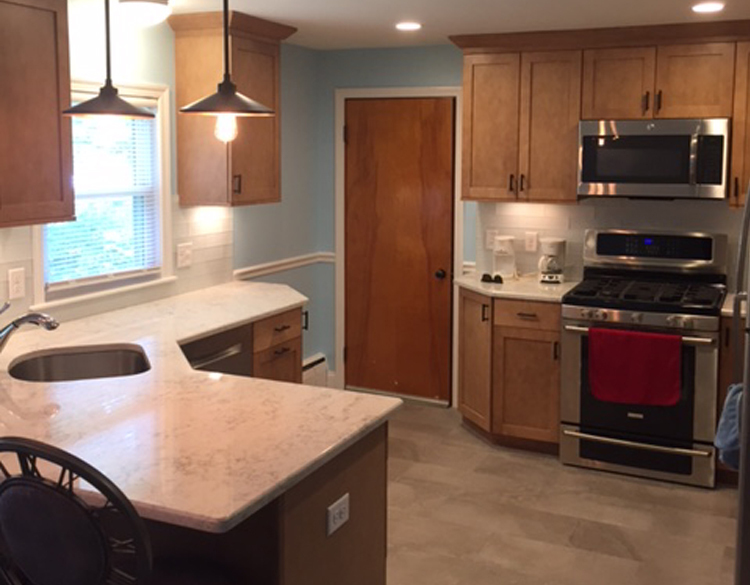 With a clean slate, we were able to build the kitchen the homeowner wanted. We replaced all of the wiring and removed the overhead lights to make room to install recessed lighting. These lights brighten the space without taking up much room, which makes the area look more spacious. We also moved some of the plumbing so that we could relocate the sink and install a dishwasher. These behind-the-scenes updates were essential, because they set the stage for a functional kitchen. Next, we installed new cabinets and marble countertops, followed by new flooring and a tile backsplash. The new layout allowed for the installation of new appliances. The final touch was a fresh coat of paint and newly installed trim. Altogether, these updates made the kitchen look and feel more spacious and modern! Is your kitchen stuck in the past? Schedule a free design consultation with Mason Sky today. We’ll help you assess your kitchen needs and do the work to bring you the kitchen you’re dreaming of.